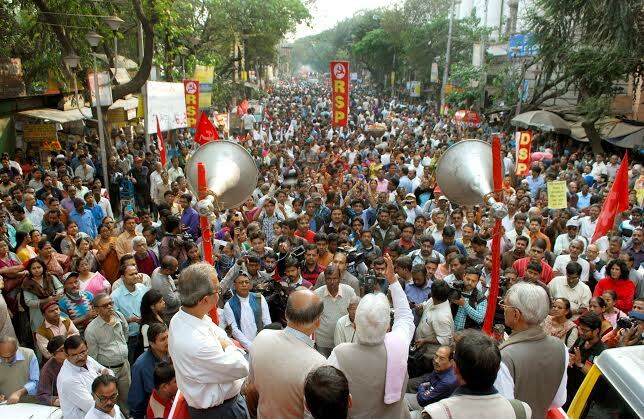 Time has come to change the political equilibrium in West Bengal, Polit Bureau member SurjyaKanta Mishra said in his inaugural speech at the 23rd conference of Kolkata District of CPI(M) on 15th January. He also said that the Left forces have to take the challenge to change the rightist political direction in the state and for that, building up of organization according to the demands of the situation has to be the foremost priority. He emphasized that the attack on democracy in the state, attack on secularism in the country and above all the attack on the livelihood of the common people have to be addressed through multi-dimensional movements, and we have to take initiative to galvanise people in large numbers in those movements. 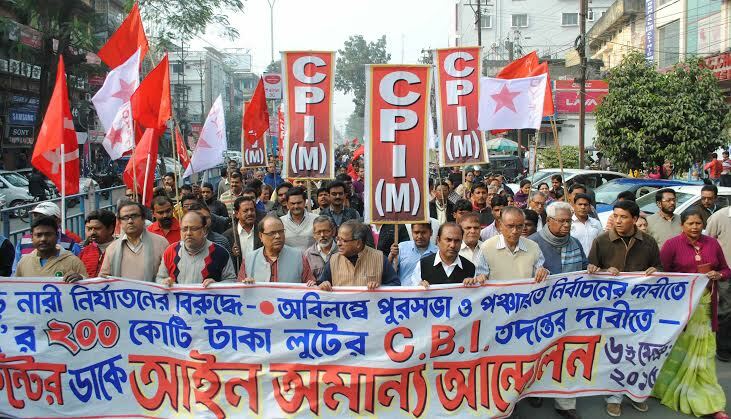 Surjya Kanta Mishra further said that struggles on local issues have to be amalgamated with the central movement for protecting the livelihoods of common people. He elaborated on how BJP is benefiting out of TMC Government’s attack on democracy and secularism. Citing the example of Bardhaman blast he said the terrorist groups of Bangladesh have also been allowed to use the land of Bengal. 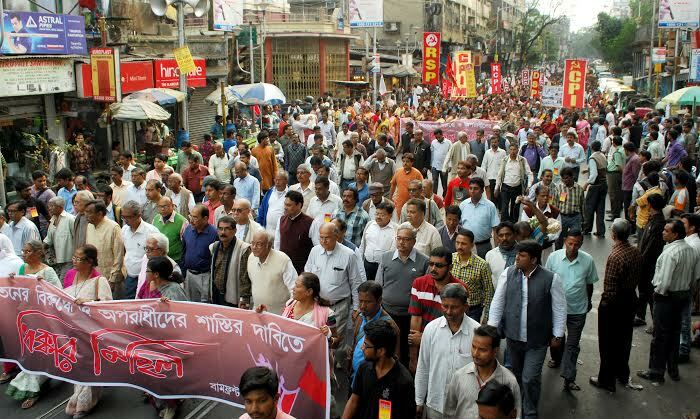 The rise of communal forces belittles the great heritage of Bengal, said Dr. Mishra. 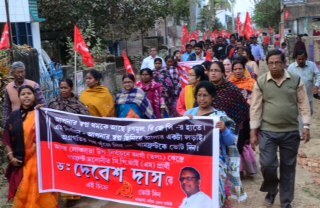 Elaborating on how the TMC Government is pursuing the free market economy, he said that much before the Central government’s ordinance on coal sector, the TMC Government had passed a law in the Assembly that such land bought by any private company will not fall under land ceiling act if existence of coal or other minerals was recorded under that land. TMC Government has passed Agricultural Produce Marketing (Regulation) (Amendment) Bill so that private companies can determine the price of the crops. 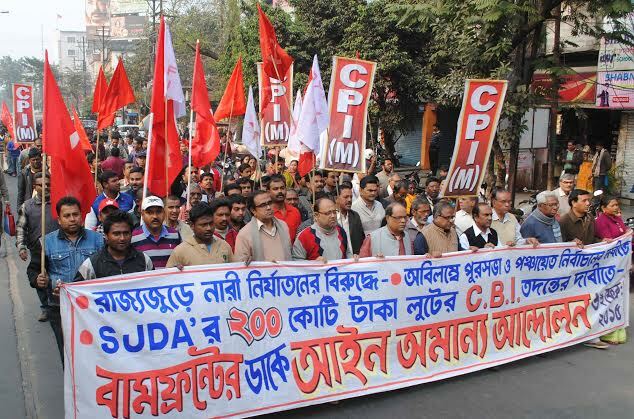 He also gave details of how TMC has looted public money through Saradha chit fund, but there are about 200 such funds in operation and they have looted Rs.60 thousand crores from the common people. 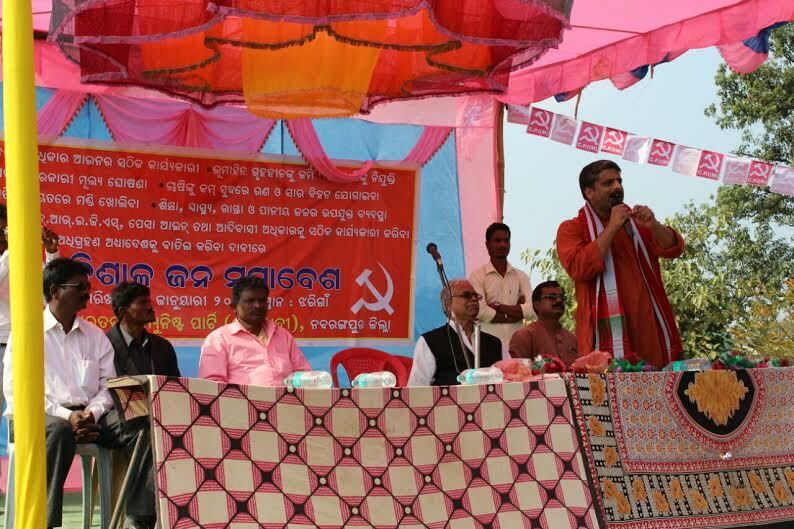 Sustained movements must be initiated to demand repayment, said Dr. Mishra. 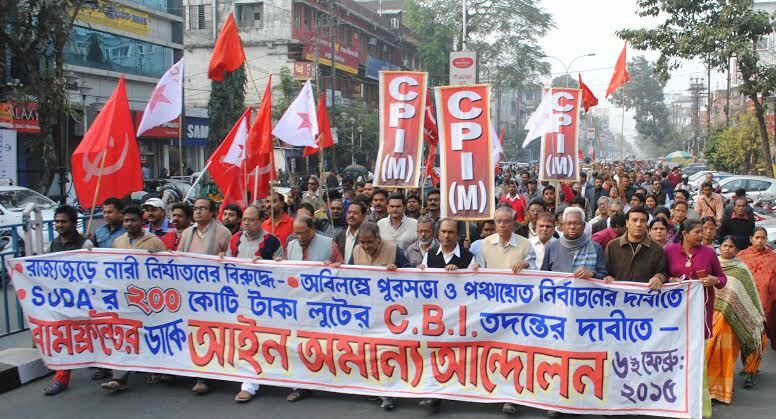 Biman Basu, secretary of CPI(M) West Bengal State Committee, Buddhadeb Bhattacharjee, Nirupam Sen and Dr. SurjyaKanta Mishra, Polit Bureau Members of the Party, Md. Salim, State leaders Md. 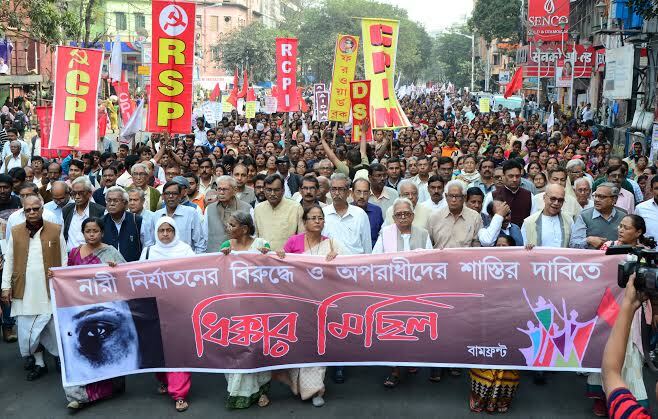 Amin, Rabin Deb, Sridip Bhattacharjee, Sujan Chakraborty, Dipak Dasgupta, Rekha Goswami, Banani Biswas were present among the leadership. 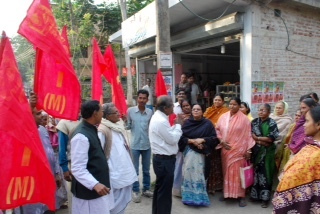 Raghunath Kushari, the secretary of CPI(M) Kolkata District Committee presented the draft report to the delegates. Discussions on draft report was in progress. The conference is scheduled to end on 18th January.